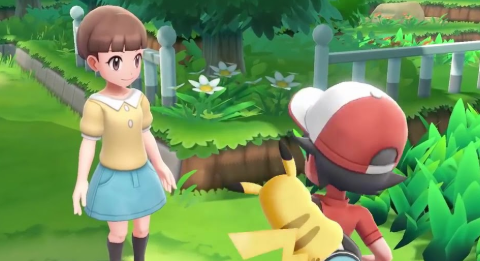 In all Mainstream Pokemon Games, there is a character that will personally check the level of Happiness your Pokemon have for you as their trainer. This game is no different, as the Happiness Checker is actually your Rival's sister back in Pallet Town. By simply speaking to her, she will tell you how happy your Pokemon are, using specific phrases to do this. Should your Pokemon have Maximum Happiness, they will earn a 10% boost to their Stats.